Capital Power Corporation is currently seeking an innovative and results-oriented individual to join our Valuations Services team. Reporting to the Director, Valuation Services, the Valuation Specialist is accountable for the performance of corporate valuation analysis, coordination of analytics functions required to support corporate and project valuations, and performance of corporate-level analytics. Preparation of highly complete corporate valuations and analysis for decisions on asset acquisitions, divestitures and development opportunities in support of Business Development/Commercial Services initiatives. Optimizing the valuations process to minimize duplication, ensure consistency, and optimize resource use. 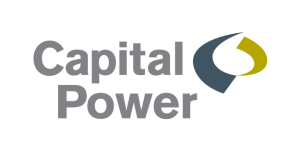 Providing input to planning and strategic direction of Valuations group and ensuring an appropriate understanding of the Capital Power strategy and maintaining on-going effective relationships between other positions in Tax & Valuations and the rest of Capital Power. Ensure the delivery of optimal results against appropriate performance metrics. Develop, implement and review Valuation Services processes to ensure compliance to policies, standards, regulatory requirements and ensure mitigation of risks. Preparing and/or reviewing impairment and goodwill valuations, including obtaining necessary feedback and preparing reports, including annual goodwill impairment testing as well as quarterly assessment of potential indicators of impairment. Prepare purchase price allocation analysis and manages reviews by external parties as required. Post-secondary Degree specializing in Business, Finance or Accounting. 5 to 7 years of experience related to accounting, valuation and corporate finance. Formal designations such as a CBV (Chartered Business Valuator) or CFA (Certified Financial Analyst). Business valuation/finance analysis and knowledge of accounting treatments/policies for purposes of goodwill and impairment assessments. Strong leadership, planning and organizational capabilities, and independent problem-solving skills. Demonstrated quantitative, qualitative, analytical and problem-solving skills. Proficiency in project management skills is necessary along with the ability to excel in a dynamic and multi-disciplinary project team environment. Advanced Microsoft Excel skills required.